A dead whale washed ashore at Torrey Pines State Beach Thursday. Someone walking on the beach reported seeing the whale early Thursday morning. 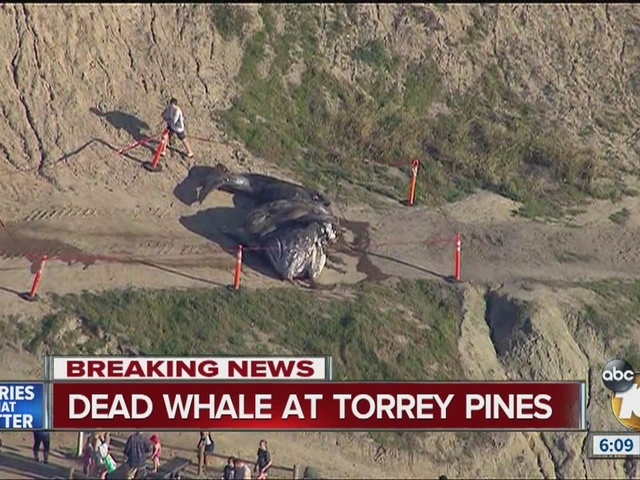 The whale was found about one mile south of the Torrey Pines State Reserve information booth just off of Highway 101. A State Parks spokesman said a forklift picked up the whale and moved it near the information booth. The whale will remain there overnight and will be moved to the landfill Friday. Earlier this month, a dead whale washed ashore at Silver Strand State Beach in Coronado .